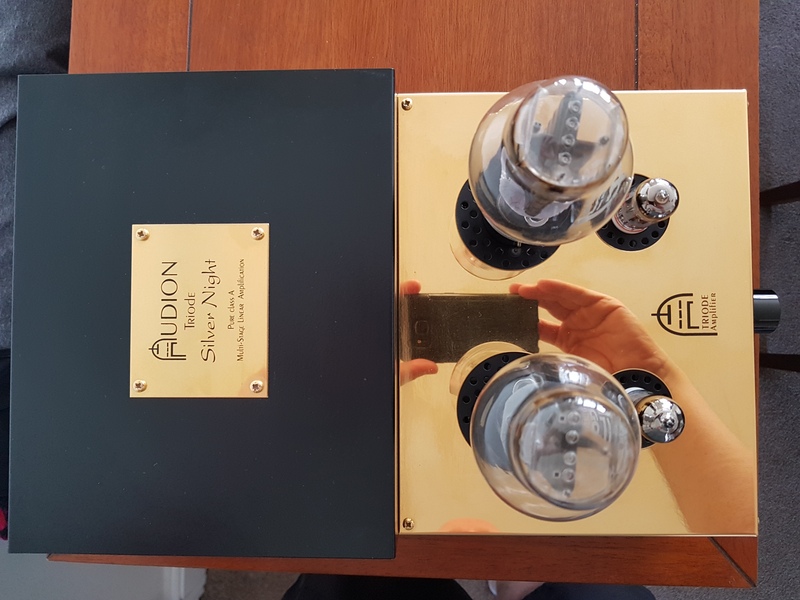 For sale: Audion silver night 300B single input integrated/ power amp. In exc condition. Gold chrome finished version. Even though this is an nearly version it looks to have been lightly used and well cared for. It's mighty purrrdy. I bought this from an Audion dealer last year and have used it trouble free each day. Probably the cheapest 300B amp of this sort of quality. Drives my AN Ks beautifully. Selling as I've upgraded to a trafomatic 300B which sounds remarkably similar as you'd expect. No idea of age of valves etc but it all works fine. Last edited by Bourney; 10-02-2019 at 07:37. Hi Steve, I have made a minor modification to one of these recently and it transformed it. Just to let a prospective purchaser know it can be improved at minor cost. Looksin super condition. It was my Silver Night which Alan tweaked, and the improvement was considerable. Still loving it! 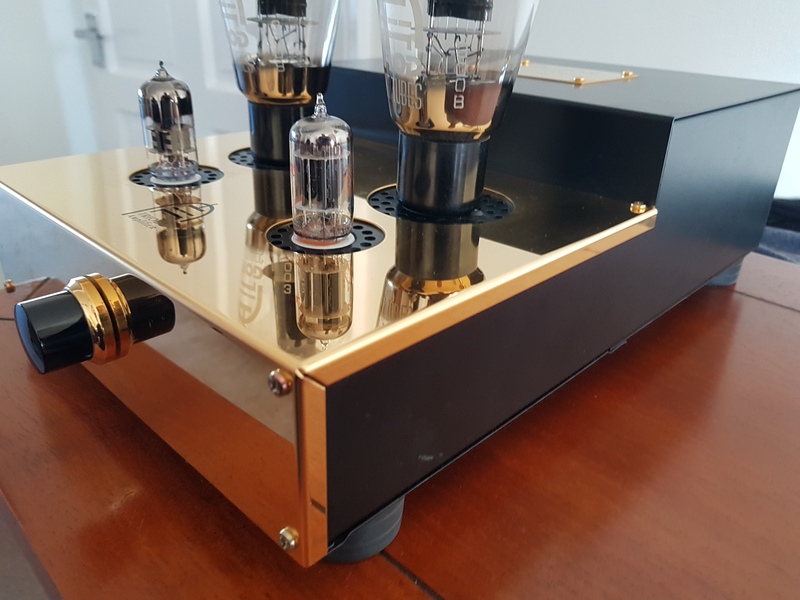 Steve, your Audion looks mint, and sooo pretty in that polished gold. A bargain for someone methinks. Looks great, always fancied a 300b, I wish I'd have seen this earlier, I've just committed to more upgrades to my valve gear, BUGGER! Any chance of a pic of the rear because I'm not quite sue about the integrated/power bit. How does that work? What is the power output and in practise would it drive my WB Actors? Last edited by ovlov854; 10-02-2019 at 12:11. Michell Orbe with Moerch DP-6 Gold Precision & London Jubilee / Radford WS1 > Woodside DVAC-18 > Radford SC25 Renaissance Series / CAT SL-1 > Radford MA50 Renaissance Series / Audion Golden Night 300B > Audio Nirvana 15" Classic Alnico with Tannoy ST200. Recommended. I have never owned it, but always on my early list of desirable amps. Thanks for the enquiries all. I've decided to take Alan up on trying the mod that I wasnt aware of until today. Seems silly not to. Temporarily removed from sale. Sorry for any inconvenience.